So this is a topic on many forums, so I looked for it here and well WE DON'T HAVE ONE. 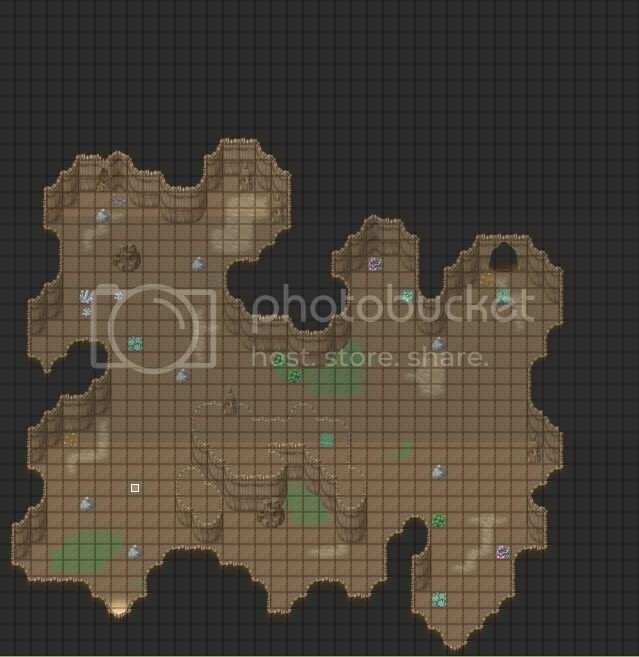 OK so post your screenshots from your game, or in the event layer. Then the next person rate the map out of 10, and then post your own. 9/10 Not bad in its randomness, but a bit motley to me. Even so, I commend you for making a canyon system like that. Here's mine, a 35x30 Mountain. Each cave opening leads to another, and the panorama is, of course, Mountain. I hate to hate things. I need some real WORKING AVI script in RMXP! looks like that took a real long time..
Woah, smart use of panorama there...why didn't I think of that? Thanks! Instead of notes, i'd like to give some tips, if i may be so bold. Standard tilesets of RMXP had been made by japanese artists, that measured stile and feel incredibly well for a cartoonish small pixel style. Is possible to achieve the same results IF you keep the same style used in the maps and scenarios on the characters, battlers and portraits. What i mean is: even if you think that your drawings aren't that good, people may come to like your style if it's used constantly in ALL the game. Like a simpsons game or something. In my case, even if the 3D characters are somehow 'weird' to some, they get used to the overall style of the game because is only ONE style - so try NOT to use rtp objects if you're making your own art. Not bad. 8/10, since there are a some mistakes. 9/10 I like it but the top and bottom walls are a little non-symmetric, and in a walled city, there probably wouldn't be so much grass, but the mapping itself is great. 9/10 that probally looks great in game! Great town and houses just awkward to have dead swamp treens and two types of live trees. 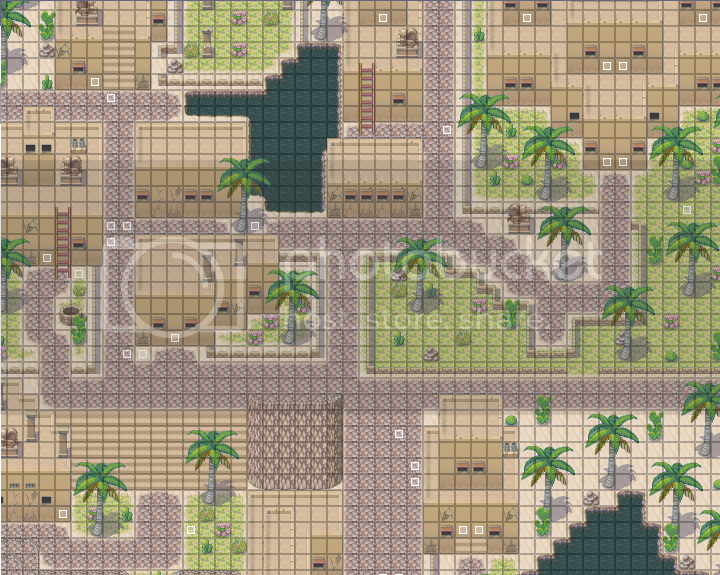 here is another town done for the xp game contest, this is two map screenshots put together. castle on top (duh) main town on bottom. ^ 9.5/10 I envy thee and thy Map-Making abilities good sir! I'll be honest with you all, I don't play rpg maker games, and I don't make them either. I always thought they all ended up pretty generic. Looking at some of these maps, I can see I've been very very wrong. Nouman - Your canyon is excellently planned out. It looks solid, yet just arbitrary enough to be naturally designed. 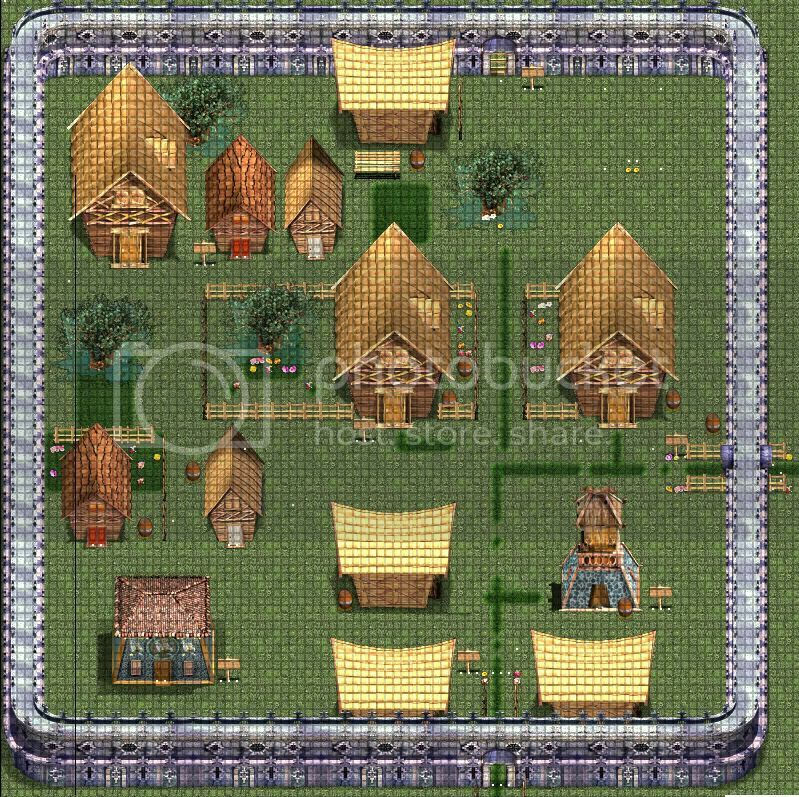 Ericmor - I like the detail that you've put into your buildings. It gives it more of a personal feeling. teabag - I think that your maps are amazing. The way that you stylized them is just unthinkable to me, in a good way. I would never be able to come up with something like that, let alone actually make it happen. The rest are also very good, but these three stood out to me. Here's hoping you all stick with it, and don't let these projects die. 7/10 there are some errors. That's all I could find since I'm not at my house. 9 / 10. They look really nice and have lots of stuff in them, but they have a really weird shape. hope someone likes it ? I give it a 7/10 it seems a bit empty. But I cant map at all and this is much better than what I can do. Im to cool to have my own signature!! !